Time: Registration: 1:00 p.m. - 1:30 p.m. | Course: 1:30 p.m. - 4:30 p.m.
Workshop is at capacity. Please contact wsreg@memun.org to be added to the wait list. Time: each day begins - 8:00 a.m. | each day ends - approximately 4:00 p.m.
Time: Door registration: 8:30 a.m. | Training: 9:00 a.m. - 12:00 p.m.
Time: Registration on Monday: 8:00 - 8:30 a.m. | Event: 8:30 a.m. - 4:00 p.m. Registration on Tuesday: 8:00 - 8:30 a.m. | Event: 8:30 a.m. - 4:00 p.m.
Time: Door registration: 8:30 a.m. | Training: 9:00 a.m. - 4:00 p.m.
Time: Registration and Coffee: 7:00 a.m. | Event: 8:00 a.m. - 1:30 p.m.
Time: Registration: 4:00 p.m. - 4:30 p.m. | Workshop: 4:30 p.m. - 8:30 p.m.
Time: Registration: 1:30 p.m. – 2:00 p.m. | Workshop: 2:00 p.m. - 4:30 p.m.
Time: Registration: 8:30 a.m. – 9:00 a.m. | Workshop: 9:00 a.m. - 2:30 p.m.
Time: Registration: 4:00 p.m. | Workshop: 4:30 p.m. - 8:30 p.m.
Time: Registration: 8:30 a.m. – 9:00 a.m. | Workshop: 9:00 a.m. - 3:30 p.m.
Time: Registration: 8:30 a.m. | Workshop: 9:00 a.m. – 2:00 p.m.
Time: Registration: 8:30 a.m. | Workshop: 9:00 a.m. – 4:00 p.m. Cancellation notification must be given in writing at least 3 business days before the session begins. Cancellations received within that 3 day window may be charged the full registration fee. Some cancellations are subject to a $10 or $15 administrative fee for processing. Please see the specific event page or brochure to find out if this applies to your workshop. Please go to http://www.memun.org/TrainingResources/WorkshopsTraining/Cancellations.aspx to cancel. If you have any questions please contact the Educational Services Office at (800) 452-8786 or (207) 623-8428. You can also email us at: wsreg@memun.org. If there is inclement weather, a decision to postpone will be made by 5:00 pm the day prior to the event. MMA encourages attendees to check the MMA website or call the training hotline at 207-624-0117 before traveling to ensure that the event schedule has not changed. It is our practice to conduct workshops only in ADA compliant facilities. Please notify us in advance if you have additional physical or dietary needs, so that we can assure your comfort and full participation. We do our best to plan meals according to general dietary guidelines. If you have a specific dietary restriction, please call our office at least 5 business days prior to the start of the event. Please note that we are not able to accommodate onsite requests, as catering planning happens in advance of the event. Effective Sept. 1, 2015, in accordance with the provisions of the Workplace Smoking Act of 1985, smoking is prohibited anywhere within the MMA building or on MMA property. MMA maintains a smoke free campus and only hosts at smoke-free facilities. MMA recognizes the potential hazards caused by exposure to scented products and cleaning chemicals. We ask that event participants refrain from using products that contain strong fragrances so that we can maintain a safe and healthy learning environment for all. 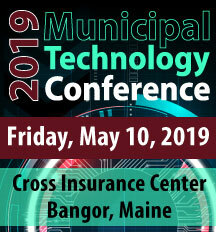 Educational courses and materials offered by the Maine Municipal Association, including but not limited to its partners, affiliates, vendors, sponsors, instructors and/or staff are provided for general informational and educational purposes only. None of the educational activities and supplementary documentation is provided as specific legal advice. Accessing information does not create an attorney-client relationship. Participants should not act upon any information without seeking legal counsel. Electronic or hard copy links or references are not intended as referrals or endorsements of the identified entities.